The hedge funds that forced Toys R Us to shut down and threw tens of thousands of workers out of their jobs have played a similarly destructive role in Puerto Rico, speculating on government-issued debt and using aggressive tactics to pursue massive profits at the direct expense of Puerto Ricans. The hedge funds, Solus Alternative Asset Management and Angelo Gordon, use extremely short-sighted strategies in order to score payouts for themselves and their investors. And whether they are forcing Toys R Us to shut down or extracting profit from a Puerto Rico in crisis, the people paying for their profits are the people who need that money most. Solus and Angelo Gordon, on the other hand, hardly need the money. Solus manages $8 billion in assets, and Angelo Gordon manages $23 billion. Even a modest year of returns likely translates into tens of millions of dollars in earnings for the firms’ CEOs, Christopher Pucillo of Solus and Michael Gordon of Angelo Gordon. Both lead lavish lifestyles – with massive estates and vacation homes in rarefied locales like Jupiter, FL, Telluride, CO, and Great Barrington, MA. On the other end of these deals are people for whom these dollars would pay for basic necessities: Toys R Us workers who were unceremoniously laid off without severance, and Puerto Ricans who are seeing massive cuts to essential services like education and healthcare and still recovering from the devastation caused by Hurricane Maria. The people suffering these consequences are, in some cases, one and the same: Toys R Us workers who were at stores in Puerto Rico or who had left the island in search of better economic prospects, some in the wake of Hurricane Maria. While it might be too late to save Toys R Us, these hedge funds can still choose to give up a percentage of their profits to ensure the workers whose lives they have turned upside down receive some kind of relief. And in the case of Puerto Rico, both hedge funds should cancel the debt they hold, completely – after Hurricane Maria, in the middle of a deep economic crisis, no dollars should be transferred away from funding essential services on the island into the pockets of vulture speculators like Pucillo and Gordon. 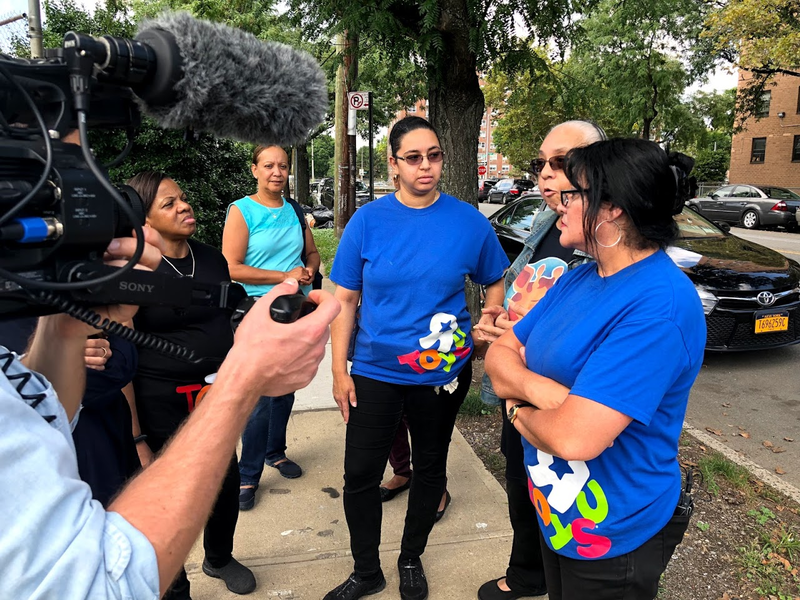 Note: This report includes profiles of former Toys “R” Us workers from across the Puerto Rican diaspora and their stories of how hedge fund attacks on Toys “R” Us and Puerto Rico have hurt them, their families and their communities. Solus Alternative Asset Management and Angelo Gordon both embrace classic vulture strategies, buying up the debt of faltering companies on the cheap and using financial and legal maneuvers to extract value – in some cases by forcing companies through bankruptcy and liquidation. Solus CEO Christopher Pucillo elaborated on this strategy in an interview with Pensions & Investments, where he said that the company had set up “special products” focused on “liquidating bankruptcy assets.” In the interview, he hailed his hedge fund’s involvement in the American Airlines bankruptcy and its subsequent merger with US Airways as an example of a major success, noting that the process cleaned up the company’s balance sheet, settled some “union issues,” and sent the stock soaring. That bankruptcy, like many bankruptcies, was widely seen as a union-busting tool; the unions eventually threw their support behind the US Airways merger in order to escape draconian cuts in the bankruptcy process. Pucillo has headed Solus since 2007, when it was spun out of Stanfield Capital Partners. He was previously head of high yield loan trading at Morgan Stanley. Angelo Gordon also has a major focus on vulture strategies, which are often included under the euphemistic label of “distressed debt” investing. Its website notes that “Distressed debt investing has been a core Angelo Gordon investment strategy since the firm’s inception.” The firm was founded in 1988 by the late John M Angelo and Michael L Gordon. Gordon is still CEO and CIO of the firm. Angelo and Gordon were executives at L.F. Rothschild prior to founding the hedge fund in 1988. Fittingly, they left the company shortly before it filed for bankruptcy and shut down.  One of the hedge fund’s more notable vulture plays was its 2009 investment in FairPoint, an internet provider and phone service company based in North Carolina. Fairpoint’s 2007 acquisition of Verizon’s business in Maine, New Hampshire, and Vermont for $2.72 billion had backfired, and the company’s debt load had become unsustainable. As it faltered and declared bankruptcy in October 2009, Angelo Gordon bought up the company’s senior secured debt, a move which would eventually make it the company’s biggest shareholder. The company emerged from bankruptcy on January 2011. With Angelo Gordon as its largest shareholder, the company began an aggressive campaign against its workers, cutting health benefits and freezing pensions. The workers fought back by going on strike, at one point picketing a meeting of the board of trustees of Colby College, where Michael Gordon holds a seat. The four-month strike – the longest in the telecommunications industry in decades – ended in February 2015, when the unions ratified a new contract. It is ironic that Angelo Gordon wanted to eliminate the pensions of FairPoint’s workers, because it counts numerous public workers’ pension funds as clients. For example, New York City’s pension fund is an investor, and Angelo Gordon had even hired its former head, Larry Schloss, as an executive in 2013. 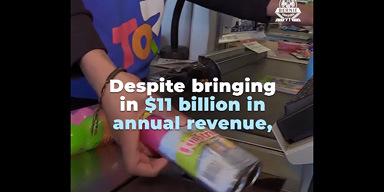 After declaring bankruptcy last year, Toys R Us could have undergone a re-organization that would have preserved the iconic company and its operations. Instead, a group of five hedge fund creditors with a strong enough investment position to control the company’s future decided that they could squeeze more profit out of their investments if they forced it to shut down and sell off its assets. 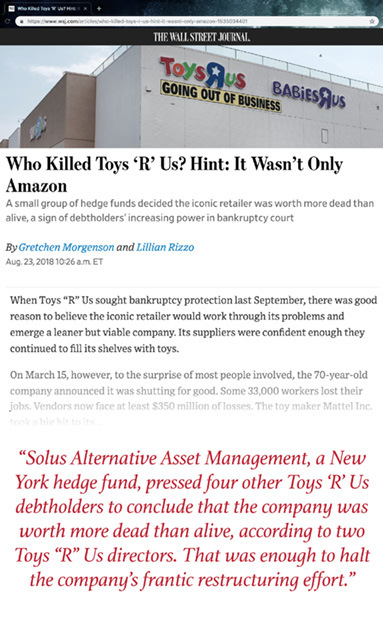 The group of hedge funds was led by Solus Alternative Asset Management, which had built up a large position in a layer of secured Toys R Us debt that gave it a powerful negotiating position, because owners of it had put up collateral for bankruptcy financing. As of June 2018, Solus owned $221 million of the $1 billion in B4 debt issued, a position it had built up over the course of the bankruptcy. The price of the debt fell over the course of the bankruptcy proceeding, trading below 40 cents on the dollar, at one point, then rebounded when the company announced it was liquidating (it was selling well above 50 cents on the dollar, as of August). Toys R Us leadership had been searching for ways to save the company, and developing plans for reorganization. But to buy themselves time to put a plan in place, they needed to secure a waiver of cash flow forecast requirements from the B4 creditors. The company received one two-month waiver in January, but B4 creditors, led by Solus, declined to offer an extension beyond one week, and under conditions that would have spelled doom for the company, anyway – requiring it not to pay vendors or landlords. At that point, Toys R Us decided that it had to shut down. 33,000 workers were laid off, without severance. Solus built up the largest stake in B4 debt and led the strategy that led to the liquidation. But it was not alone in pursuing the company’s destruction. 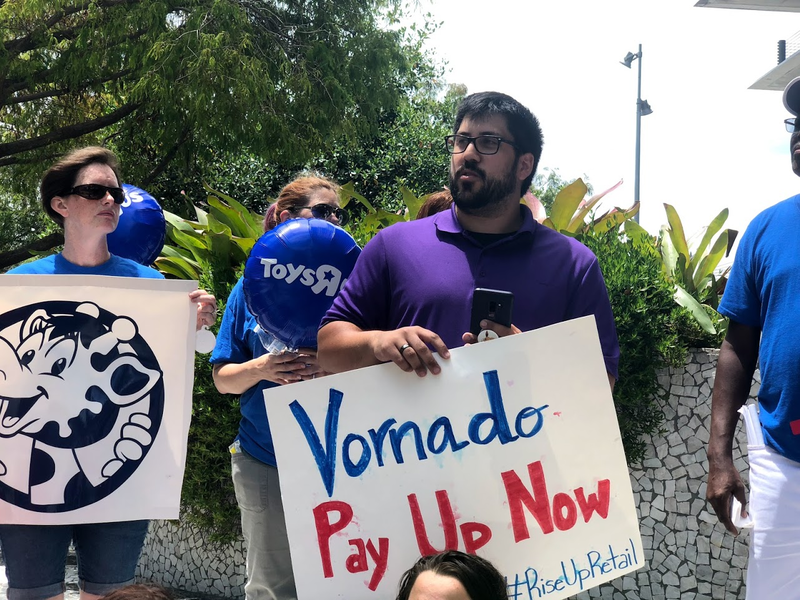 Angelo Gordon acted as a sort of lieutenant in the trade, recently joining Solus in penning a letter to Toys R Us workers telling them that they would do nothing to help them secure severance in the wake of the liquidation. 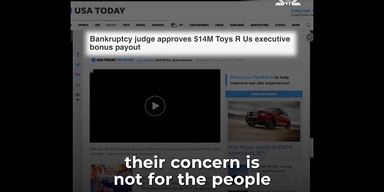 Lawyers for the hedge funds wrote that “we do not believe there is a sound basis to claim that Toys “R” Us secured lenders should make additional financial contributions for the benefit of employees or other unsecured lenders” – essentially telling workers that because they did not own the correct financial instrument, they had no right to pay. Two other hedge funds, Highland Capital and Oaktree Capital, along with a mutual fund, Franklin Mutual, had previously joined Solus and Angelo Gordon as B4 creditors pushing for liquidation. Solus and Angelo Gordon do not just prey on companies in crisis – they have also turned these speculative tactics against the people of Puerto Rico. Both hedge funds bought up large portions of Puerto Rico’s debt at low prices in the interest of extracting high payouts on it. Money that could be paying for a just recovery and essential services, such as healthcare and education, will instead be lining their pockets. Solus Alternative Asset Management has flown under the radar in Puerto Rico’s restructuring, but in fact has played an aggressive role around two significant pieces of the debt: debt issued by the Government Development Bank (GDB) and unsecured loans to PREPA, the power authority. Solus has been part of a the group of hedge funds speculating on debt issued by the Government Development Bank, using aggressive legal strategies to pursue payment on the debt. Solus was first reported to be part of the “Ad Hoc Group” of hedge funds negotiating with the Government Development Bank in 2015. The group also included Fir Tree Partners, Brigade Capital Management, Claren Road Asset Management, and Fore Research & Management. Though the exact amount of GDB debt owned by Solus is unknown, as of 2016 the group of hedge funds claimed to own close to a quarter of the $4.1 billion in GDB debt, around $935 million. Solus played hardball. In April 2016, it and several of these hedge funds filed suit in federal court to compel the GDB to freeze deposits in order to protect their payments. The hedge funds withdrew their request for a temporary restraining order shortly thereafter, following an executive order barring non-essential transfers out of the GDB. The next month, they reached a preliminary deal with the GDB around debt repayment, but again filed suit following the amendment of the Puerto Rico Emergency Moratorium and Financial Rehabilitation Act, which would have prioritized the rights of depository financial institutions such as credit unions over hedge fund vultures. In 2017 and 2018, Solus has continued to be part of the group of hedge funds negotiating restructuring agreements with the GDB under Title VI, the voluntary, out-of-court process provided for under PROMESA. As of September 2018, the deal has been approved by creditors and is supposed to pay out 55 cents on the dollar for GDB debt that was once trading as low as 12 cents on the dollar. Solus is also the largest unsecured creditor of PREPA, holding $284 million in unpaid principal of fuel line loans as of February 1, 2018. Fuel line loans are lines of credit extended to PREPA to allow it to purchase fuel. Solus appears to have first assumed the role in 2015, when the hedge fund purchased a $146 million unsecured fuel line loan from Citigroup. The loans are unsecured, but Solus and Scotiabank – the other main fuel line lender – have argued that the loans are senior to other forms of PREPA debt, due to the seniority guaranteed by the original agreements. Angelo Gordon has also been speculating on Puerto Rico’s debt. The hedge fund is part of the Ad Hoc Group of PREPA Bondholders, a group of investment firms that hold approximately $2.9 billion in aggregate principal amount of uninsured PREPA bonds. As of September 11, 2018, Angelo Gordon owned $207,742,716 in uninsured PREPA debt and $165,000 in Commonwealth debt. The hedge fund had previously reported $321,932,716 in uninsured PREPA debt in documents filed in federal court, and appears to have begun unwinding its position in August 2018. Apparently, Angelo Gordon’s interest in Puerto Rico goes back to 2006, when it became one of the top contributors to then resident commissioner Luis Fortuño, as reported by the Center for Responsive Politics. But it was after Puerto Rico’s debt started to spiral out of control that Angelo Gordon began buying up debt and pressing its case for payment. The aggressive campaign started in 2015. Angelo Gordon hired law and lobbying firm Venable to stop H.R. 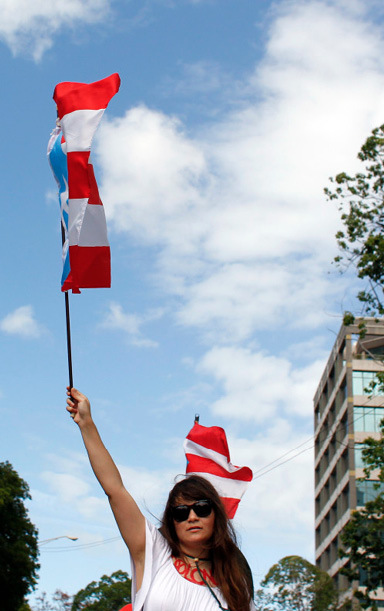 870, the Puerto Rico Chapter 9 Uniformity Act of 2015, a bill sponsored by then resident commissioner Pedro Pierluisi to include Puerto Rico in Chapter 9 bankruptcy. One of those lobbyists was Andrew Olmem, who was appointed by president Trump as his special assistant for financial policy. Last year he was granted an ethics waiver by the White House, allowing him to meet with hedge funds involved in Puerto Rico’s debt crisis, including Angelo Gordon. Angelo Gordon’s relationship with President Trump is broader. The hedge fund manages some of his investments through two funds, AG Diversified Credit Strategies Fund LP and AG Eleven Partners LP, as reported in Trump’s financial disclosures. Interestingly, AG Eleven Partners was one of the signatories of the forbearance agreement between PREPA and its creditors in 2015, meaning it had investments in PREPA’s bonds. Days after Hurricane Maria hit Puerto Rico, when residents were struggling to survive without electricity and water, the Ad Hoc Group of PREPA Bondholders, including Angelo Gordon, offered the beleaguered government $1.85 billion in new loans. In other words, their first reaction to the disaster was to propose that the government to take on more debt. Recently, on July 30, 2018, Angelo Gordon was one of the signatories to the preliminary restructuring agreement of PREPA. This deal, as it is, imposes a “transition charge”, a sort of regressive tax that increases over time with the sole purpose of paying the electrical authority’s debt. If it becomes final, Puerto Ricans will be required to pay off PREPA’s debt for the next 40 years. Notably, Solus and Angelo Gordon are not the only Toys R Us vulture funds that have set their sights on Puerto Rico – Franklin and Oaktree are also speculating on various components of the island’s debt. The profits that Solus and Angelo Gordon extract from these sorts of vulture trades are substantial and will ultimately be put to some of the least productive uses imaginable – augmenting the already excessive wealth and luxury lifestyles of their executives. In late August 2018, for instance – shortly after Solus and Angelo Gordon told Toys R Us workers that they owed them no severance – Solus CEO Christopher Pucillo purchased a vacation home in Jupiter, FL for $7.5 million. It looks out on the Atlantic Ocean on one side and the Indian River on the other, with 100 feet of frontage on each side. 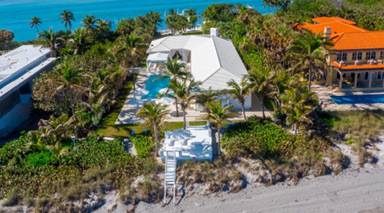 The property boasts 4 bedrooms, five baths, an elevator, a pool, and a dock that can accommodate a “large yacht,” according to a brochure for the property. The brochure also says that it was “completely renovated with a chic contemporary style,” though the style might more accurately be described as ostentatious, with all-white decor, gold fixtures, and life-sized dog sculptures in the living room. 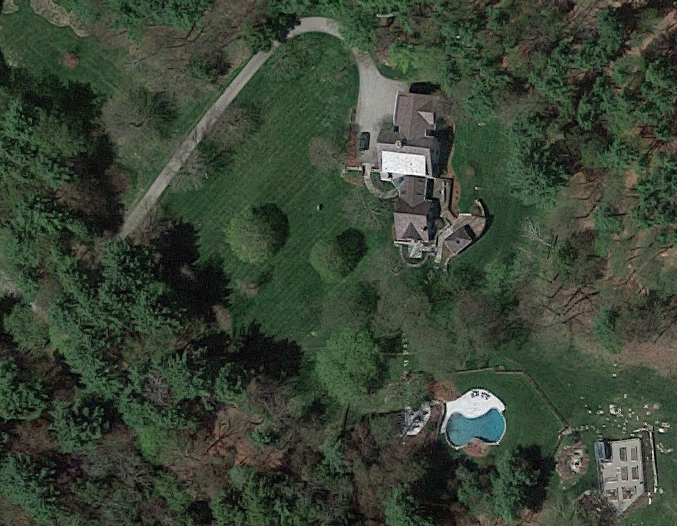 Pucillo also owns a 5,000 square foot home in Summit, NJ that he purchased for $3.75 million in 2015, and a $4.8 million vacation home in Telluride, CO that has 8 bedrooms and 9 baths. He and other Solus executives also purchased a set of three condos in Telluride for $3.9 million in 2015. Pucillo recently also joined the board of the Telluride Foundation, a regional charitable foundation with a high-powered board that includes several hedge fund and private equity executives. According to an article on the foundation’s website, Pucillo, his wife, and his three daughters have spent every Christmas and nearly every Fourth of July in Telluride since 2006, and the family belongs to the Telluride Ski and Golf Club. Pucillo is able to pay for it all because he likely rakes in tens of millions of dollars even when his hedge fund has an average year. Though his compensation and net worth are not publicly disclosed, he owns a 25%-50% stake in the firm. With $8 billion in assets under management and hefty management and performance fees, the above properties are likely a relatively small percentage of his overall net worth. Some of Solus’ key investors are pension funds, such as the San Francisco Employees Retirement System ($300 million) and the New Jersey Division of Investment ($376 million). In other words, workers’ retirement funds are being invested in a hedge fund whose primary strategy is pursuing the liquidation of assets and the destruction of jobs. Other investors who will reap the spoils of Solus’ vulture plays on Toys R Us and Puerto Rico include Anthony Scaramucci’s SkyBridge Capital and New England Patriots owner Bob Kraft’s Kraft Family Foundation. In an exchange with the Private Equity Stakeholder Project, Scaramucci said that he has encouraged Solus to support Toys R Us workers. Angelo Gordon CEO Michael Gordon is probably even wealthier than Pucillo. A trust in his name owns between 25% and 50% of Angelo Gordon, which manages $23 billion in assets. 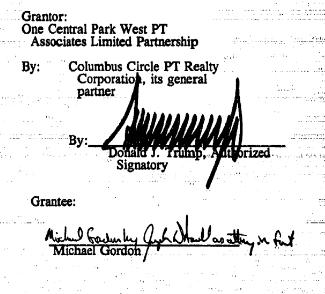 Gordon owns an apartment at 1080 Fifth Avenue, where units routinely sell for millions of dollars, a hotel unit in the Trump International at 1 Central Park West, and two homes in Great Barrington, MA – a 10-acre estate with a pool and a smaller home on a nearby pond. Gordon is also a major donor to Colby College, where he sits on the board of trustees. Another 25-50% of Angelo Gordon is owned by Judy Hart Angelo, the widow of the late Angelo Gordon co-founder John Angelo. She is a singer and songwriter most well known for co-writing the Cheers theme song, “Where Everybody Knows Your Name.” She owns an 8-acre, $7.6 million estate in Long Branch, NJ, as well as an apartment at the Dakota which she and her late husband purchased for $3.25 million. Angelo Gordon’s investors include numerous public pension funds, including the New York State Common Retirement Fund, the New Jersey Division of Investment, the Massachusetts Pension Reserves Investment Trust, and the North Carolina Retirement Systems. As is the case with Solus, workers’ retirement funds are being used to fund destructive attacks on working people. I worked at the Toys “R” Us store on Bruckner Ave. in the Bronx for almost 20 years. In those two decades, I was divorced, became a single mother, and raised my two children on what I brought home. I also moved my parents in with me from Puerto Rico a few years ago and cared for my father until we lost him to cancer. Toys “R” Us was more than a job. It gave me the ability to raise my kids and support my parents, and the flexibility to take my father to chemo appointments and be with him through the end of his life. I found my second family in the community of women – many also from the island – that I worked with at Toys “R” Us, and we supported each other through the ups and downs in our lives. I lost all of that on June 30. I was able to get a part-time job at Burlington Coat Factory across the street from my Toys “R” Us store, but it is not enough to cover even the basics. It is so expensive to live in New York. I am scrambling between my job, caring for my elderly mother at home, looking for a second job and making multiple trips to the social services office and jumping through all these hoops just to get public assistance for my family. These Wall Street vulture hedge funds are making it impossible for all of us to survive – either in Puerto Rico or here in the Bronx. I sometimes find it hard to believe that they’re right here in Manhattan, because it feels like we’re living in completely different worlds. They don’t know the New York I know. They’re not going through what I am just to just put food on the table. Thing have to change and we can’t just accept that corporate interests should run our lives. I grew up in San Juan, Puerto Rico in a 500 square foot apartment with my mom and sister. My mom worked hard, but only earned $7.25 an hour to support my sister, me, and my grandparents. Times were really tough for us. We lived through government shutdowns. I lost classmates to violence. There was desperation all around us. I was 19 when my mom, my sister and I left the island. Like so many before me and most of my own family members, we didn’t want to leave but we had to. We wanted a safer, more stable life. All we wanted was the opportunity to work hard and raise our families. I found that opportunity in retail, but it hasn’t been easy. I worked my way up while taking on seasonal work. Then I landed at Toys “R” Us 4 years ago. I was transferred from store to store, including the international store in Puerto Rico, where I worked for 2 years. It was strange returning to Puerto Rico, and sadder to see that so many problems were unchanged. I worked at the largest Toys R Us store on the island and found a community with my team members. I met my wife through working at Toys “R” Us. Today we have a 9 month old and another one on the way. I was on a conference call with other managers when I found out the company was liquidating. I was heartbroken. My wife and I had just had our baby daughter and were looking forward to raising our family in our Toys “R” Us community. I ended up working all the way to the end of the liquidation and closed 2 stores, during which I saw this company and community we built up being torn apart and the workers treated like garbage. Working at Toys “R” Us gave me the ability to work toward stability after Puerto Rico, but it was taken from me by the same Wall Street vultures that caused so much destruction on my island that forced my family to leave in the first place. They owe me and my family. They owe 33,000 Toys “R” Us families and so many more in Puerto Rico and in the diaspora. 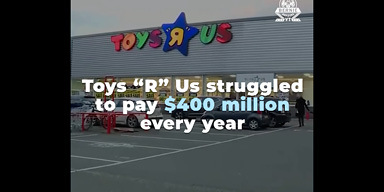 The damage that Solus and Angelo Gordon did to Toys R Us workers cannot be undone: 33,000 workers’ lives have been thrown into disarray, with enormous consequences for them and their families. But the hedge funds can take a small step to remedy the situation by agreeing to the demands of Toys R Us workers. The workers have been demanding that the hedge funds contribute to a hardship fund that would help them get back on their feet, and recover some of the money they lost when they were unceremoniously forced out of work. So far, the hedge funds have rebuffed these demands. It is time for Solus and Angelo Gordon to step up and allocate a significant portion of funds to Toys R Us workers. Similarly, in Puerto Rico, the damage done by the hedge funds’ aggressive campaign to extract profit from the crisis-stricken island cannot be undone. 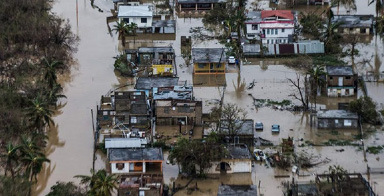 But rather than continuing to prey on Puerto Rico, the hedge funds should choose instead to cancel the debt they hold and oppose austerity and privatization, recognizing that the well-being of the people of Puerto Rico – funding for healthcare, education, and recovery – should take precedence over excess profit for some of the wealthiest people in the world. On one side, lives are at stake. On the other, oceanside estates. If Solus and Angelo Gordon have even the most basic moral principles, the choices should be clear.